An unbiased party at KC and Associates has confirmed the random selection of a winner for last week's scarf! 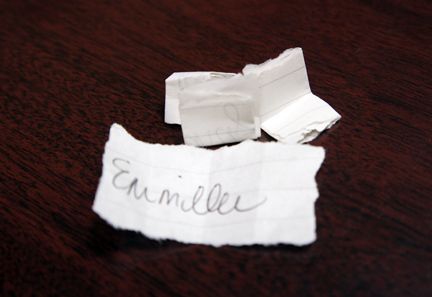 Emmilee, I had so much fun writing your name that I added in an extra "l"!! Please let me know if you prefer gold or silver and I'll have your scarf ready on Monday!